Activities like eating, drinking and shopping can support trees + community! It takes all kinds of support to plant more than 56,000 trees with 7,000+ volunteers every year! In addition to volunteering and donating directly to Friends of Trees, here some other ways you can support trees + community. The best part? These are some things you probably already do, like shop for groceries at Fred Meyer, eat out, visit pubs, shop online at Amazon, or give at your workplace. Questions? Contact us! And remember: All donations plant trees + grow community. Fundraisers for Friends of Trees! Breakside Brewery Benefit: Tuesdays in November at Slabtown BEER PLANTS TREES ALL MONTH LONG! November 2018 is our first benefit with Breakside Brewing! Breakside’s NW Slabtown Location is donating 5% of all sales Tuesdays in November to Trees + Community! Not only is the beer great, but they have an amazing food menu! Part of the fun includes a Breakside-Friends of Trees passport. You’ll get a stamp card and if you visit Slabtown Breakside every Tuesday in November and get your passport stamped you’ll be entered into a raffle for some cool Breakside prizes. Visit often and eat & drink for the trees! Portland Timbers Scarf of the Month. Display your Timbers spirit while supporting one of the three central pillars of their Stand Together program. Friends of Trees is the recipient of 1/3 of all Scarf of the Month sales, representing the Timbers’ support of environmental awareness. You need one and it’s a great gift! 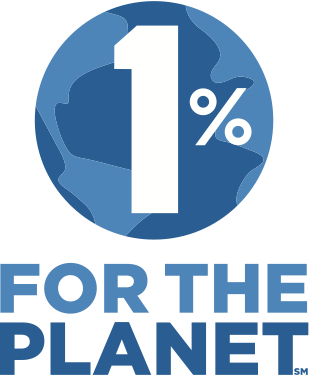 Friends of Trees is proud to be a non-profit partner with 1% for the Planet – a global network of businesses that donate one percent of annual sales directly to approved environmental and sustainability nonprofit organizations. More than 1200 member companies in 48 countries give back to this big blue planet through over 3600 nonprofit partners. AmazonSmile is the same Amazon you know. Same login information, same products, same prices, same service. Just with the added benefit of supporting Friends of Trees! Support Friends of Trees by starting here. With EarthShare, you can donate to Friends of Trees at work with simple payroll deduction contributions. Your employer may even match your gift, increasing the impact of your investment. To see if your employer is already a Workplace Partner with EarthShare, click here. First, you need a Fred Meyer Rewards account, create one here. Next, link your Rewards Card to Friends of Trees here. Search for us by our name or by our non-profit number (#93608). A few more easy steps and then your card is linked to Friends of Trees – and you’re shopping for trees + community! We want to thank you for your gift of stock, so please let us know when you transfer stock and ask your broker to include your name with the transaction. You can donate almost anything with a motor to Friends of Trees. You’ll receive a tax deduction for your generosity while helping create a greener, healthier planet for years to come. Visit CARS today and be free of your vehicle tomorrow. Vehicle pick-ups can be arranged in any U.S. state. If you have any questions about these programs or would like additional information, please contact Tyler Rise at 503-467-2524.